Alright, to break-up the excerpts from the book. 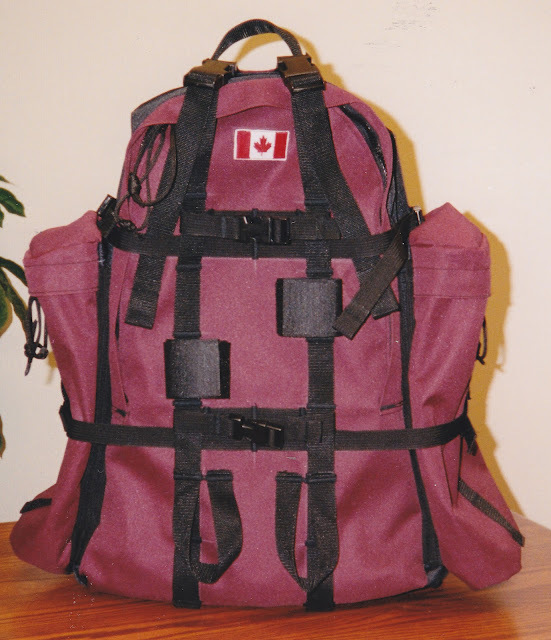 Let's look at building your own backpack. 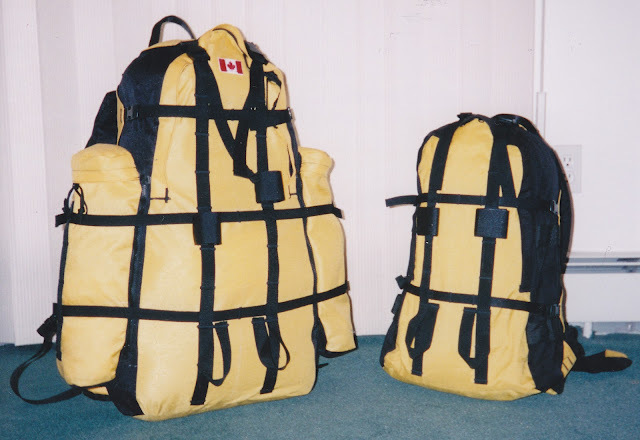 I have built a number of packs since the mid-90's. Not very many lately, by my choice. What do you need?? Time, space, a sewing machine, scissors, thread, buckles, fabric and probably a pattern. I say this, because later you may be able to design and make your own pack from your design not from the pattern of others. or buckle off pockets, both increase the carrying capacity of the pack. Extra pockets can be used for tents, fuel bottles, crampons, first aid kits, water bladders and the list can go on & on. You build them to fit the gear you have, that you want to take hiking or backpacking. The most modified pack I have made is the LRRP, Long Range Recreation Pack. This pack can be converted (variable geometry) to many roles. 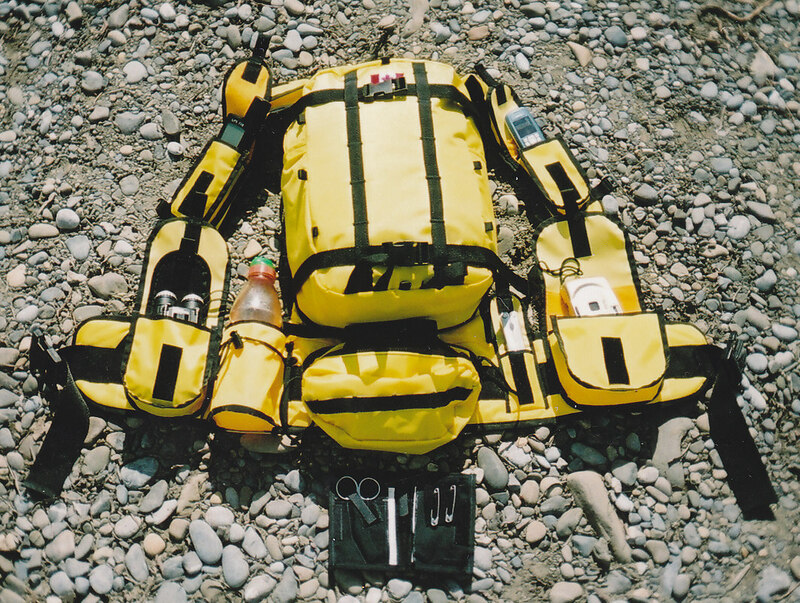 With everything attached, it is a pack mule to get your gear to base-camp. Then the components can be removed and re-configured to fit your day tripping from base. Finally, the Hybrid Pack. Part gear vest and part daypack. This pack is fast and easy to build, because you build the harness first & then add the pockets that fit your gear. I hope this gives you a starting point and some gear making ideas. I have added a new post - R3 Ruck Project. Check it out for more pack building ideas. Any more photos of the first Alpine Pack? I'm curious about the attachments on the side. They look like quivers. They are in fact shotgun scabbards. I will see if I have any more pic's. The scabbards use a combination of zippers and velcro straps in addition to the side compression straps to hold them in place. 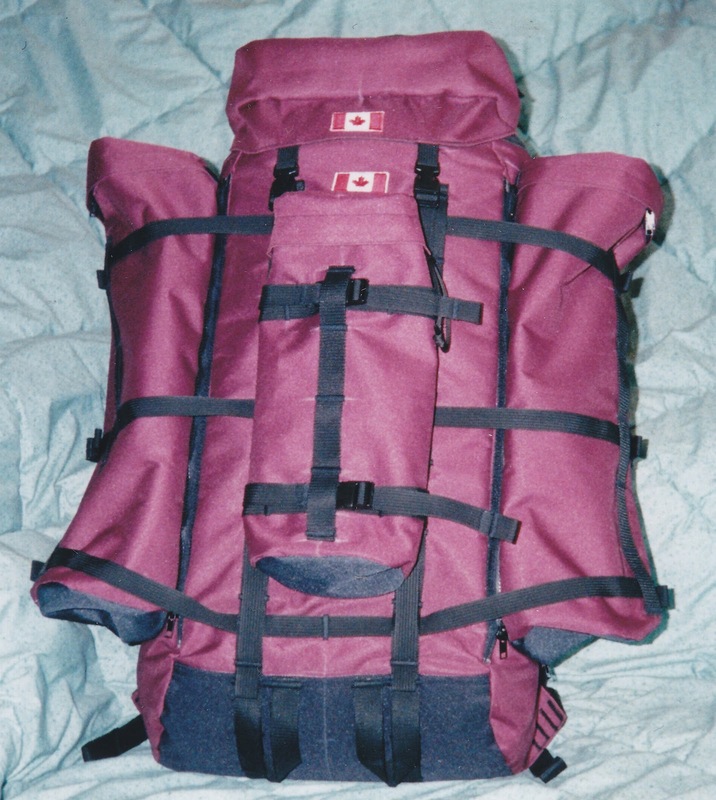 I first used the zipper removable side pockets to attach tent pockets, back in the day. But it seems to work for scabbards too. Crazy idea maybe, but I'm looking at those scabbards and thinking - what if they also served as ground padding? Two of them, take them off, open them up, connect them, and there you have some padding to sleep on. Use a Therma Rest or something like it, attach it to the frame and have a sling you can use to carry stuff In. instead of just a rolled up tube which only serves as a pad to sleep on at the end of the day. But TRs are probably a little too wide for that. Interesting idea you have. If you used a separating zipper to close the scabbards, your idea would be possible. But as the scabbards only have a 7" x 20"+ x2 piece of foam, you would end up with a pad that is 28" x 20"+. Good enough in a survival situation, but a little too minimalist for most backpackers. If you had 4 scabbards......56" x 20"+...maybe. That Kifaru gear is very interesting. Many posssibilities. As for your sling idea. That bears merit. If you used a trapper nelson type frame or an aluminum "H" frame and had a Cordura or canvas "sling" that had grommets or side-release buckles to lace and compress your load. Could work.